Drawing has a lot to do with writing, it begins with underlining, crossing out, erasing and writing itself. I think one of the reasons why drawing is so powerful and remains up-to-date is its anchorage in everyday life. It gathers its energy permanently from those roots. Nobody has ever spoken about an end of drawing as opposed to past the discussion about end of painting. 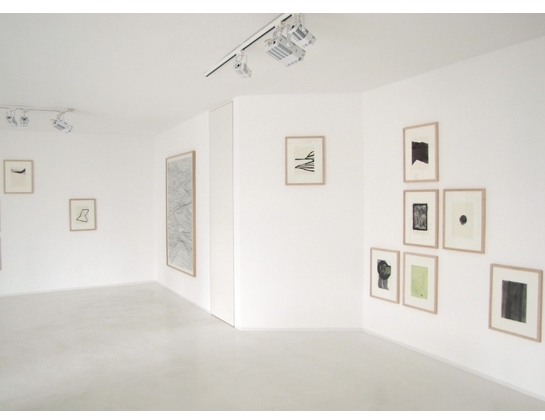 It is the first solo show of Thomas Müller in Gallery Klein, Cologne. The exhibition focuses on his works, drawn between 2010 - 2013. Thomas Müller was born in Frankfurt (Germany) 1959, he lives and works in Stuttgart. His works are part of considerable museum as well as private collections such as Kunstmuseum Bonn, Staatliche Museen zu Berlin, Hamburger Kunsthalle, Graphische Sammlung Munich, Centre Georges Pompidou, Musée national d‘art moderne, Paris and Collection Florence & Daniel Guerlain, Les Mesnuls.